Not only are succulents beautiful, but they are also extremely easy to care for. This is what makes them the perfect gift. 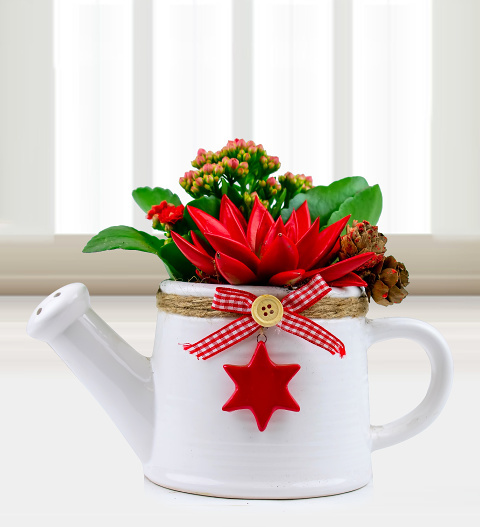 Whether the recipient is known for their 'green thumb' or new to plant care, you can't go wrong with this Christmas plant gift. Arranged in a decorated jug, this succulent display will always look lovely. Chocolates may contain nuts.